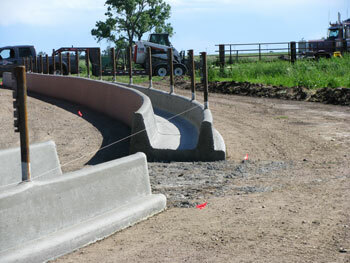 Our bunks are a continuous slip form bunk with a 48” x 2” dipped pipe inserted every 10’ to hold the ½” prestressed cable. Bunk are also available with plain pipe or no pipe. As of 2011 we have added a rounded bottom bunk option. 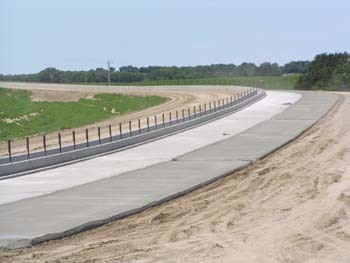 Our 6” continuous slab can be poured in 12’ & 15’ increments with an 18” footing from the top of the pad. 12’ and 15’ slab can be poured side by side to accommodate the need for a wider area coverage. 12’ driveways are also available through our system. 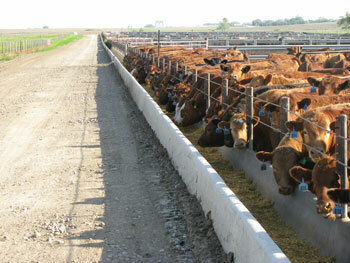 Double D Bunks offers many parts you may be looking for to fulfill your bunk and feedlot needs. Check out our list of pricing and give us a call to arrange shipment, delivery, or a pick up at our location! Get the inside scoop on all our products and how they’re built. We build to suit and each one of our products is designed to best suit your needs.